Professor Anand Nandkumar of ISB, Professor Charles Dhanaraj of Kelley School of Business, along with Mridula Anand, trace Novartis’ prolonged tussle with the Indian patent regime to get its cancer drug, Glivec, patented in India. The case is set against the backdrop of the Intellectual Property Appellate Board declining Novartis’ patent application on the grounds that the cost of the drug made it unaffordable for Indian patients. Novartis launched a subsequent appeal to the Supreme Court, whose decision* was expected to have significant ramifications for the global pharmaceutical market. Meanwhile, Novartis had to determine its innovation strategy in India and in the broader emerging markets. Undaunted by recent setbacks, Novartis geared up to present its final arguments in the “Novartis versus Union of India” case before the Indian Supreme Court on July 10, 2012. The issue was over the interpretation of Section 3(d) of the 2005 Indian Patents Act, which demanded stringent parameters to demonstrate enhanced efficacy and novelty before any on-patent medicine could get another patent. This provision of the Indian Patents Act intended to prevent the multiplication of patents on minor changes to existing on-patent medicines (known as “evergreening”). Despite possessing patents for its drug, Glivec, in several countries, Novartis’ patent application for Glivec was denied by the Indian Patent Office (IPO) in 2007. Subsequently, India’s Intellectual Property Appellate Board (IPAB) also declined Novartis’ appeal, conceding that there was novelty in the process but the pricing of the drug made it unaffordable in the Indian context. In 2009, Novartis appealed to the Supreme Court of India, challenging the legality of Section 3(d) of the Indian Patents Act, which was amended to comply with the Trade Related Intellectual Property Rights or TRIPs accord. Within India and across the globe, opinions were deeply divided on the issue of weak patent protection. While multinational enterprises were concerned about lost investment opportunities, domestic manufacturers of generics and non-governmental organisations (NGOs) feared that frivolous patenting could tarnish India’s image as a haven for the development and distribution of affordable and reliable generic drugs. Novartis’ challenge in India was symptomatic of similar issues in many developing markets: How could countries maintain the affordability of on-patent drugs in developing economies while increasing the incentives to innovate? The Swiss pharmaceutical firm, Novartis’ broad portfolio in health products and research resulted in approximately US$60 billion in total revenue in 2012. In order to focus on pharmaceuticals, in 2005- 6, Novartis consolidated its various businesses to bring together its rapidly growing business operations in India. It signed a memorandum of understanding with the Indian government for expanding medical- related information technology (IT), information technology enabled ser vices (ITES) and R&D activities in India, and created a global centre for its back office operations in Hyderabad. After several years of development and testing, Novartis developed the molecule imatinib mesylate and made headway in the treatment of patients with cancer of the white blood cells (CML). Novartis received an international patent for the molecule’s beta version in 1993. In 1998, this research translated into an oral drug, Glivec, which soon received US and EU approvals. Glivec’s global sales grew exponentially in the following years. In 2004, Novartis sought to enter the lucrative Indian market with Glivec by filing for a patent with the Indian Patent Office. However, as product patents were yet to be introduced, Novartis was granted Exclusive Marketing Rights (EMR) under the new Indian Patents Act. By 2011, Glivec’s sales in India were estimated to contribute to a third of its global sales. The Indian patent regime was a legacy left over from colonial rule. Post-independence, Indian patent law became part of a broader pro-innovation regime. Presented with the opportunity to file international patents in India, several multinational pharmaceutical companies entered India. However, in 1972, in a bid to promote indigenous industrial capability, the Government of India revised the patent law to incorporate many sweeping changes, such as reducing patent life and abolishing product patenting. The law resulted in a spate of exits by many multinational firms from India. The countr y’s weak intellectual property rights (IPR) provided large Indian pharmaceutical firms with a legitimate means to manufacture low-cost generic versions of the original drugs. India became a haven for developing and distributing low-cost generic drugs in the emerging markets. 1, 2004). Product patents were reintroduced, and patent life was increased from 5-7 years to 20 years. India did not extend patent protection to inventions prior to 1995. The Act also established a specialised judiciar y body to hear IPR-related cases: the Intellectual Property Appellate Board (IPAB). In 1998, India introduced transitor y provisions (EMR) for pharmaceutical and chemical products, so that firms could exclusively market a drug for five years, pending the grant of the patent. The amended Indian Patent Law of 2005 used a “first-to-file” system to recognise the inventor. Another unique aspect of the Indian patent system was “pre-grant oppositions,” which allowed any person or institution to file an opposition to the grant of a patent if it did not adequately demonstrate increased efficacy. Moreover, to be patentable, the drug had to be non-obvious, novel and capable of having an industrial application; the “mere new use” of a known compound was non- patentable. In 1998, Novartis filed an EMR application to launch Glivec in India, which was granted in 2003 for a period of five years. However, on discovering that several Indian firms had started manufacturing and marketing generic versions of Glivec at one-tenth its price, Novartis approached the court with a request to restrain local manufacturers from producing these generic versions. Given India’s booming middle class on the one hand and a vast number of extremely poor people on the other, Novartis pursued a dual patient- focussed strategy. Realising that the price of Gilvec was prohibitive for patients who were not insured or reimbursed and could not pay for treatment privately, Novartis established the first global direct-to-patient access programme, the Glivec International Patient Assistance Programme (GIPAP), in collaboration with The Max Foundation. The GIPAP ran on three models: full product donation, shared contribution and co-pay. Attracted by Returns, Dampened by Law When Novartis filed its patent application for Glivec (beta cr ystalline form) in India in 2005, it was hit by several pre-grant oppositions from Indian generic firms and NGOs. 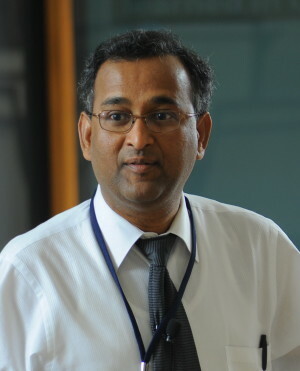 In 2006, the Madras Patent Office, with S Chandrasekaran as the Patent Controller General, rejected Novartis’ patent application for Glivec on the grounds that the product did not adequately demonstrate enhanced efficacy as an alpha cr ystalline form of the derivative was already patented and available worldwide. Novartis filed an appeal with the Madras High Court, contesting the IPO’s decision on the basis that the new patent increased bioavailability. Novartis argued that in the field of pharmacology, any substance which had a variance of 20-25 percent bioavailability was not considered bioequivalent with the other compound under comparison. Thus, the resultant higher efficacy warranted a new patent in India. In 2007, the case was eventually transferred to the IPAB, which was primarily instituted as a judicial forum to allow appeals from innovators who disagreed with the IPO. To Novartis’ chagrin, it transpired that the former Controller General of the IPO, Chandrasekaran, had stepped down from his post at the IPO to become the newly appointed technical member of the IPAB. Novartis filed a case at the High Court for a new technical member in the IPAB. To resolve the issue, the Government of India suggested a revised approach to the two-member board. When the High Court accepted the new approach, it encountered strong opposition from Indian pharmaceutical firms, who in turn filed a case in the Supreme Court. In June 2009, the IPAB ruled that Glivec was not patentable on two grounds — therapeutic ineffectiveness, and for the first time, prohibitively high cost. Disappointed by the court’s decision, Novartis had 90 days to evaluate its options and make a decision based on the merits of the appellate board’s decision. In August 2009, Novartis approached the Supreme Court of India seeking to challenge the interpretation and application of Section 3(d) of the Indian Patents Act by the Indian courts and patent offices. The company wanted the Supreme Court to declare that Section 3(d) was not consistent with India’s TRIPS agreement. In Februar y 2012, several NGOs protested the case outside Novartis’ Annual General Assembly (AGM) venue in Basel, Switzerland. According to them, this legal challenge aimed at weakening a public health clause of the Indian Patents Act, which intended to limit the multiplication of patents on insignificant changes to existing medicines. On behalf of a coalition of these groups, representatives signed what was known as the Berne Declaration. Subsequently, Novartis announced that it had decided to withdraw its 2006 proposal to create an R&D centre in India. As July 10, 2012 drew closer, Novartis and other global pharmaceutical giants fixed their eyes on the Indian Supreme Court, which would deliver its ruling after hearing the final arguments on the matter. This would be a significant moment not only for Novartis, but also for the global pharmaceutical industr y as the biggest issue confronting policy makers was how to balance the twin goals of encouraging innovation and providing affordable access to life-saving drugs throughout the developing world. The case summary was written by Arohini Narain, Centre for Teaching, Learning and Case Development (CTLC) at ISB. *The Supreme Court of India denied a patent for Glivec on April 1, 2013. This ruling is likely to have a significant impact on MNCs, such as Novartis, who will have to evaluate other strategies to protect their innovations in India. However, the effectiveness of these strategies, such as licensing for instance, is unclear as their success depends on the extent of seeding of generic competition in the developed markets on the one hand, and on gaining a foothold in the emerging markets on the other. Protecting their intellectual property in a “weak” patent regime would be challenging for multi-nationals (Sun Pharma versus Glenmark case for licensing of diabetic drugs by an MNC). 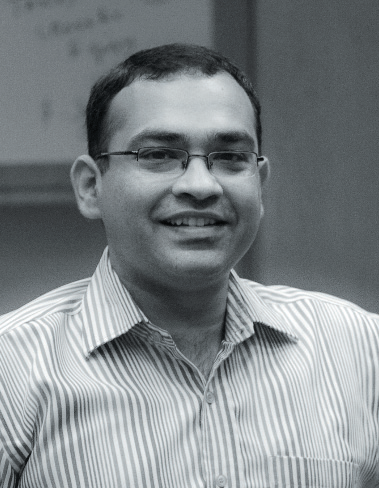 Associate Professor, Academic Director for Centre for Innovation and Entrepreneurship. 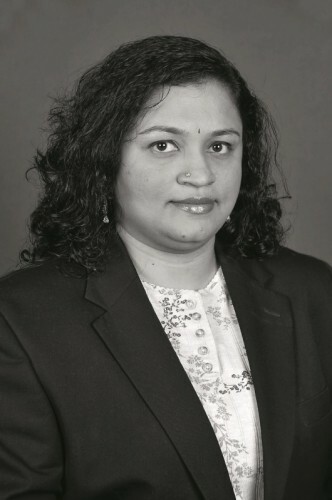 Mridula Anand is a Senior Research Manager with the Srini Raju Center for Information Technology and Networked Economies at the Indian School of Business.